Surrounded by a reassuring ambiance, Islazul Villa Don Lino offers the visitor all the appropriate conditions to enjoy a pleasant stay. The Don Lino Hotel possesses a beach 280 meters long & 50 meters wide. 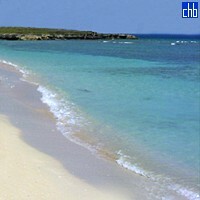 Don Lino has become famous as The Great Little Beach because it boasts a thousand charms in a tiny belt of sand. The indigenous natural surroundings brighten up the spot in which coconut palms and caleta grape vines abound. 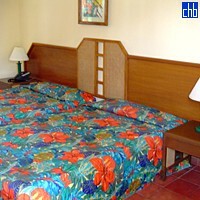 36 air-conditioned cabanas with telephone, satellite TV and security box. 30 of them look out over the sea. A la cart restaurant, bar-cafeteria, swimming pool for children and adults, game room, sports areas to play baseball, beach volleyball and tennis; day and nighttime animated shows, nautical non-motorized equipment rental, car, motorbike, bicycle rental, horseback riding, excursions to nearby places of historic and cultural interest organized by the Villa. 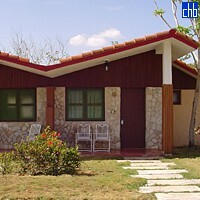 It is located 57 kilometers from Holguin’s International Airport & 30 kilometers from Guardalavaca Beach.